“When software become strategy, rather strategy is software”. This is the new vibe we heard in SAP SAPPHIRE 2017.Here is the three shifts happening in new digital civilization. Technology is becoming open, automated and scalable. Openness means business process excellence touching every layer of data from top to the line item level in real time. Data is integrated and secure. Get to the Cloud and use intelligent applications as many as possible. If you have new innovations release it to the cloud so that it scales. New drift is pay per use so that operational excellence can be achieved. SAS (Software as Service) in ERP using Cloud enables the customer to attain this operational excellence. S/4 HANA in cloud is the best in class cloud pattern to embrace. How fast you are embracing the change and addressing the problem is the next demand in the new digital era. Here is the second shift. Design Thinking. It’s a new customer engagement model. Customer vision to blueprint in a short time empowers customer to win. Design Thinking convert vision or problems to design in a rapid phase. 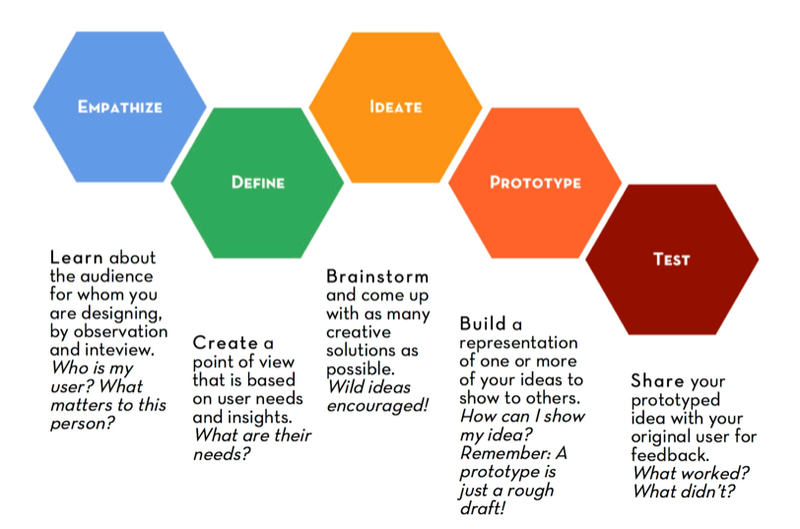 Design thinking enables Innovation rather than addressing only the problem. Design thinking begin with structured brain storming and discussions, depict sketches, workshops, draw images. It progress through different stages by building interactive prototypes, publish for feedback and comments in a digital design platform , look for improvements, identify heat maps in low fidelity prototype, provide navigational flow. Design team can be connected from anywhere in this digital design platform. Key is to identify and involve end users, project managers, engineers, quality team, program managers and other relevant stakeholders of customer in the design process. Integrate future users with design process from the day one. Categorize the daily challenges faced by the users. In so doing everyone together codifying the future. Design thinking create broader pictures, align different people, sets no limit for ideas and create opportunity to present new ideas. Issues facing in current application is identified and depicted through pictures. Challenges are communicated through pictures to avoid shock to business. This technique helps the customer to embrace their challenges swiftly. Finally everyone agrees for a starting point. Visualization in process help to understand and communicate. Everyone together comes up with ideas and solutions concepts. Create prototypes to identify the technical feasibilities. Agile process helps Design thinking to provide insights into the problem which customer was not aware of. Integrated approach with customer and designers not only allows developing better software but better strategies and organization cultures. Design Thinking breaks the barriers between business users and developers. Lowers the cost of implementation. Needs are the build at the first place. Old school approach of business blueprint phase is slowly fading away. Any Cloud platform and Design thinking approach is incomplete without a big data solution. Isolated Data Lake is not useful, so integrate in a platform is a necessity. A new Digital Platform is required for this. Digital platform should be capable enough to analyze, provide insights using algorithms, deep insights through patterns, provide predictive analyses and derive multiple options to arrive into decisions. SAP Leonardo is the new digital platform that powers the customer to intelligently connecting with People, Things and Business. SAP Leonardo provide seamless integration of structured and unstructured data. ERP data of physical assets. Real time operational sensor data. Continuous monitoring of the live sensor data. External market data – Information about availability of People, part and essence. 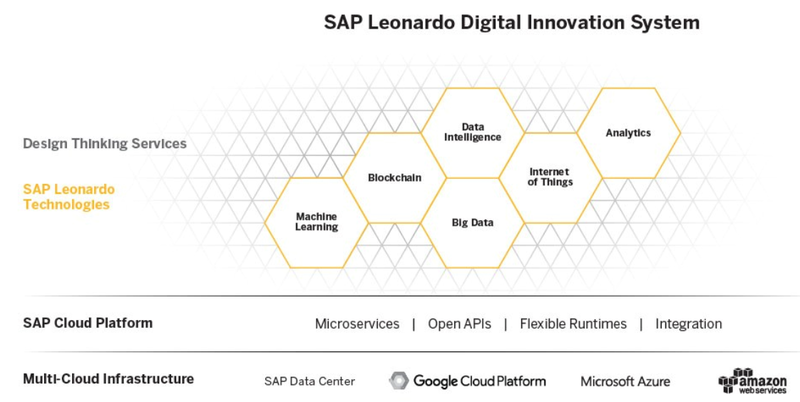 All are integrated in a single digital platform SAP Leonardo. Machine learning is a foundation. SAP Leonardo enable to use Machine language through Open API Library consumed in cloud platform. Everything intelligent and everything is live when it is connected. SAP Leonardo IOT (Internet Of Things) Companying real world data from physical assets, things and connect with customer business process and people. It changes and transform how companies manage and operate their physical assets. The new digital civilization is the adoption of best in class cloud application , innovate though design thinking powered by digital innovation platform that enables customer to innovate, scale and redefine the business; all seamless integrated to provide with in-depth data insights. *Read more about SAP S/4 HANA on Cloud, Design Thinking and SAP Leonardo Digital Innovation platform in SAP SAPPHIRE 2017.